For four decades, the great British songwriter Richard Thompson has puzzled and enchanted, menaced and soothed, and remained an enigma far too slippery to attract anything larger than his devoted cult following. Drawing from a mixed bag of influences ranging from jazz and ragtime, country, and traditional English and Scottish folk, Thompson has amassed a collection of murder ballads, spiritual ruminations, and tough-hearted rockers that ranks amongst the most formidable catalogues in recent history. As a songwriter, he holds a unique position of esteem amongst his peers. The list of prominent artists who have covered his compositions include R.E.M., Elvis Costello, the Neville Brothers, Bob Mould, Sleater-Kinney, and Dinosaur Jr., to name just a few. As an instrumentalist Thompson’s reputation is every bit as glowing. Even for those not typically moved by virtuoso heroics, Thompson’s guitar work is a dazzling spectacle, melding otherworldly technical proficiency with a wild-eyed inventiveness that has coalesced into an utterly a unique playing style pitched somewhere between James Burton and Charlie Christian. As an exemplar of the phenomenon, Thompson demonstrates the manifold ways in which the “songwriter’s songwriter” or “musicians musician” appellations are a blessing and a curse. To be beloved as a key influence is one thing — to be ghettoized as a sort of favorite weird uncle is quite another. Over the decades, Thompson has bristled against these strictures, experimenting with new sounds, different producers, and a host of revolving labels in the hopes of shaking off his best-kept-secret reputation. To the extent that nothing has worked, it is probably the consequence of a deep-seated black humor that imbues even Thompson’s most outwardly sincere and sentimental gestures. Vested with the same sort of contrarian streak as his rough contemporary Alex Chilton, he has largely yielded similar dividends, with the important caveat that he is still with us and making terrific music, including this year’s sterling Still LP, produced by Jeff Tweedy. Thompson began his career as teenaged guitar prodigy in the heady English folk collective Fairport Convention, a strange, almost proggy mélange of deconstructed early English music imbued with a druggy, psychedelic air. In their time, Fairport were frequently characterized as a British response to the Band, but truthfully, classic records like Unhalfbricking and Lief & Liege hew closer to the Grateful Dead — a certain lawless democracy informing a self-contained brilliance un-replicable under any other conditions. As with the Dead, there were casualties, including the troubled genius Sandy Denny, who died under mysterious circumstances in 1978, and Fairport members Martin Lamble and Thompson’s then-girlfriend Jeannie Franklin, who were killed when the band’s van crashed in 1969. 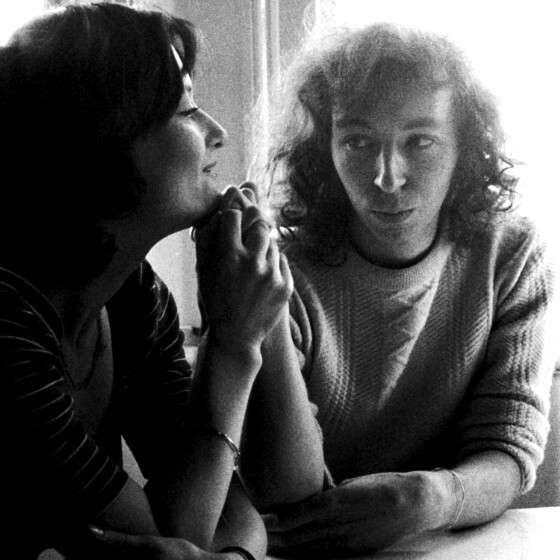 Too gifted and ambitious to last long as a sideman, Thompson’s early post-Fairport career was marked by a handful of classic releases alongside his wife Linda, albums that drew from the idiosyncratic traditionalism of Fairport Convention, while streamlining their sound and sharpening the storytelling. 1974’s I Want To See Bright Lights Tonight and 1975’s Pour Down Like Silver are unimpeachable classics of the folk genre, imbued with all of the contradictory fear, exuberance, and regret that characterized so much of the 1970s’ uncertain moral vision. 1982’s Shoot Out The Lights was a white-knuckling detailing of the Thompsons’ painful divorce, a justifiably celebrated deep dive into domestic misery on the order of Marvin Gaye’s Here My Dear and Bob Dylan’s Blood On The Tracks. Thompson’s work as a solo artist has vacillated in style and approach — from the exuberant commercial pop of Daring Adventures and Rumor And Sigh to the mostly downtrodden gestures of You? Me? Us? and Mirror Blue. Throughout, the fundaments of his persona and his uncompromising nature have never wavered. No punches pulled, no concessions made, no fabulous makeovers to appease the masses. To be a Thompson fan is to take him as he is and expect nothing else. To be fair, that isn’t always easy. On record, Thompson’s worldview is a miasma of startling contradictions. A devout Muslim with a relish for licentious scenarios replete with lust, transgression, and emotional and physical violence, he charts something like a psychological middle ground between Van Morrison at his most pious and Lou Reed at his most debased. The best of Thompson’s spiritual meditations — “Dimming Of The Day” or “A Heart Needs A Home” — are stunningly persuasive articles of romantic and religious devotion, poetic prayers of desperate longing that might stir the soul of the hardest atheist. But on songs like “I Feel So Good” or “Turning Of The Tide,” he cheerfully inhabits the voice of a reckless, Luciferian figure, capable of acts of nearly unimaginable inhumanity. Thompson has a reputation as morbid performer — a sort of “grocer of despair” in the Leonard Cohen parlance — and it is true that dedicated depressives will find much here to feast on. But as with Cohen, even Thompson’s most difficult work is leavened with humor, humanity and the possibility — however remote — of true spiritual redemption. Ranking Thompson’s albums is a diabolical challenge, as he’s not much in the habit of making a bad record, or at least an ill-considered one. Take this list for what it’s worth, give us your feedback, and most of all take the time to enjoy this wonderful talent.